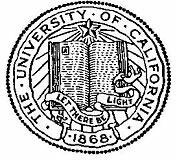 Even those who did not know him suffered a loss on January 2, 2007, when the dean of the College of Engineering at the University of California, Berkeley, A. Richard Newton, passed away at the age of 55. Richard was not only a wonderful engineer and a superb professor but also a great man. He would not rest on the laurels of his (many) industrial and academic successes; rather he relentlessly pursued noble causes that could (and did) have an impact on the human condition. Nothing was too hard for him. He would complain at times and act distressed, but he would never abandon an idea he believed in. Richard liked BIG, audacious ideas, and as soon as he saw a way of making them a reality and in good hands, he would move on to something bigger and better. Richard was born July 1, 1951, in Melbourne, Australia. As an epitome of the classical ideal of mens sana in corpore sano, Richard was an accomplished athlete. He played Australian-rules football in school and then as a semiprofessional; his career was ended by a serious back injury. His involvement with electronic design automation (EDA) started way back. A fortuitous meeting in the early 1970s with Donald Pederson, who died in 2004, was to be the event to kick-start Newton's lifelong interest in EDA. In his own words, “In 1970, when I was pursuing my undergraduate degree in engineering, I had the good fortune to bump into Professor Donald Pederson in the computer room of the University of Melbourne, Australia, and before I knew it, I was a SPICE-1 developer.” In 1978, Newton earned his Ph.D. at Berkeley under the guidance of Don Pederson and was appointed to the engineering faculty later that year. Richard quickly scaled the academic ladder, going from assistant professor in 1978 to associate professor in 1982 and to full professor in 1985. In his Ph.D. thesis, Richard saw the possibility of developing tools for mixed-mode design where analog and digital components could be developed together. He also intuited that relaxation-based techniques had great promise for metal-oxide-semiconductor (MOS) circuits and developed what was then called iterated timing analysis in collaboration with his students. This method is still the basis of the fast circuit simulators being sold today by the EDA industry. In parallel, Richard’s interests evolved to cover all branches of EDA. His main technical contributions in this period were in the field of EDA frameworks, where he spearheaded the development of unified databases and graphical user interfaces for the design of electronic circuits. He was the technical force behind the Electronic Data Interchange Format (EDIF) standard. This work evolved into a sophisticated framework that served as the backbone for the Berkeley EDA team programs and approaches. In 1983, he helped found Solomon Design Automation, the parent company of Cadence Design Systems, Inc., a company that made the ideas of a unified framework for design its flagship. It was clear that Richard had a unique gift: he could sense the future and act to direct it. In the late 1970s he saw with great clarity that the computing world was moving towards workstations from big mainframes and that Unix would become the operating system of choice for engineering workstations. He then put his reputation on the line at a very young age and pushed companies and colleagues to join in developing tools and methods on a Digital Equipment Corporation VAX computer equipped with Berkeley Unix. In doing so, he was creating the basis for a new industry and at the same time providing a great test bed for our Berkeley colleagues in the Unix group. Richard had an unmatched talent for marrying technical insights with industrial needs. In these years, he also predicted the great importance of logic manipulation and optimization that led to the formation of Synopsys in 1987. There he served on the board of directors from its inception and had a major role in convincing Aart de Geus, who later became one of his best friends, to try the start-up adventure. He also played an important role in forming other EDA companies, such as Pie Design and Simplex Solutions (both eventually acquired by Cadence). After the great technical and business success of these initiatives, Richard moved his interest to the process of enterprise formation. 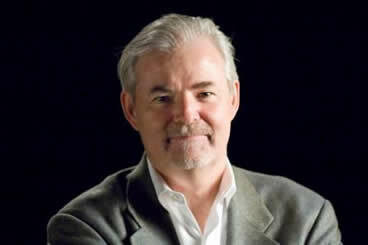 Beginning in 1988, he advised several venture capital firms, including the Mayfield Fund, where he was a venture partner until 2002, and Tallwood Venture Capital, where he contributed both to the evaluation and the early stage development of more than two dozen new companies, including Silicon Light Machines (where he acted as president and CEO during 1994 and 1995), while still teaching digital logic design to an undergraduate class of over 180 students. “Newton had an astute business mind, something you wouldn't necessarily expect from an academic,” said Dado Banatao, managing partner of Tallwood and chair of the Berkeley College of Engineering advisory board. Few people know that he helped found Crossbow with Mike Horton, one of his students, and in doing so, sparked the research on the Berkeley motes, smart dust, and wireless sensor networks. In the late 1990s, Richard raised the industrial and academic world to a new level of understanding. He initiated a complex process that led eventually to the formation in 1998 of the MARCO/DARPA Gigascale Silicon Research Center (GSRC), a major private-public partnership with the U.S. government and the semiconductor industry that funds and coordinates long-range research at a dozen major U.S. universities and involves many industrial collaborators. He served from 1998 to 2002 as the founding director of the GSRC. As a consequence of his new interests and acquired skills, Richard served as chair of the Department of Electrical Engineering and Computer Science from 1999 to 2000. In 2000, he was appointed dean of the College of Engineering and became the Roy W. Carlson Professor of Engineering. He served in these capacities until his death. During his tenure as dean, Richard was the driving force behind the creation of the UC Berkeley-based Center for Information Technology Research in the Interest of Society (CITRIS), one of four California Institutes for Science and Innovation. CITRIS was established in 2001 to develop the next generation of technologies that will be critical to sustaining California's economic growth and global competitiveness and to solving society's most critical needs. Richard was a strong advocate of promoting women in engineering, and while he was dean, the number of women on the faculty at the College of Engineering nearly doubled from 15 in 2000 to 27 in 2007. Newton also served on the board of trustees for the Anita Borg Institute for Women and Technology, which provides resources and programs to help industry, academia and government recruit, retain, and develop women leaders in high technology careers. Richard earned numerous awards throughout his career, including the 2003 Phil Kaufman Award. In 2004, he was named to the National Academy of Engineering, and in 2006, he was named to the American Academy of Arts and Sciences. He was also a member of the Association for Computing Machinery and a fellow of the Institute of Electrical and Electronics Engineers. Outside of academia and research, Newton maintained a strong interest in spirituality and eastern philosophy, formed during his years as a student at UC Berkeley. He also enjoyed poetry (one of his favorite poets being Rilke), painting, and hiking in the outdoors. He was a dearest friend to many people. Kurt Keutzer said: “Over the years, I’ve thought a lot about the qualities of friendship: honesty but sensitivity; integrity but loyalty; and most of all, the irrational willingness to go the extra mile. Richard demonstrates all of those. Every one of us has so many stories about how Richard’s big heart reached out to make us happy. But the fact is that Richard wanted to make each one of you happy, in a very personal way, and everything else he did arose out of that.” Richard is survived by his wife, Petra Michel, two daughters (Neris and Amrita), his mother, sister and two brothers.